CSA stands for Community Supported Agriculture. CSAs are designed to provide a close connection between a farm, the farmers, and a community of members. The farm and farmers feed the members by providing a weekly share of produce. The members financially support the farm and become an integral part of small scale, local agriculture. The CSA harvest season is 26 weeks from the end of May until the week prior to Thanksgiving. 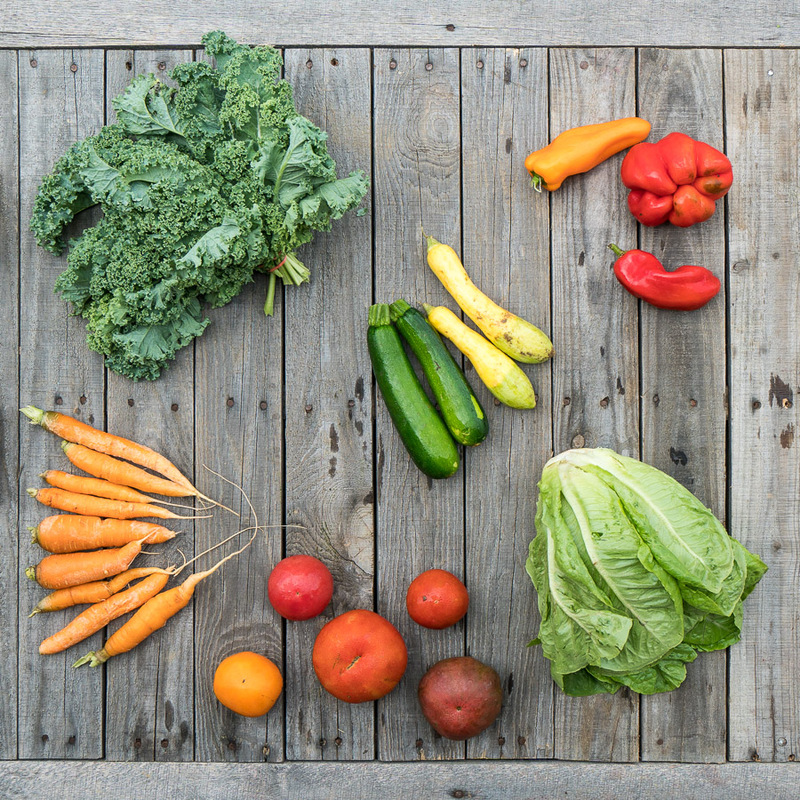 When you join, you’ll set your vegetable preferences and each week through the season, a customized share will be generated for you depending on those tastes and the farm’s harvest. Every week, you will get a preview of your share and have a chance to swap items in and out of your share from the harvest list…all before you pickup! For a smaller household of 1-2 people or those that don’t cook at home every day. Our standard share. For a household of 2 - 4 people that cook at home regularly. For larger households of 5+ or those that are avid cooks and/or will freeze, can, preserve extras. Each week your farmers aim to harvest 8 - 15 crops with at least one being: a fresh salad green (head lettuce, arugula, etc), a cooking green (kale, chard, etc), a root crop (beets, carrots, etc), an allium (onions, leeks, etc), and usually a few fruiting crops (tomatoes, eggplant, peppers, squash, etc). Click here to read more about why a CSA might be right for you!